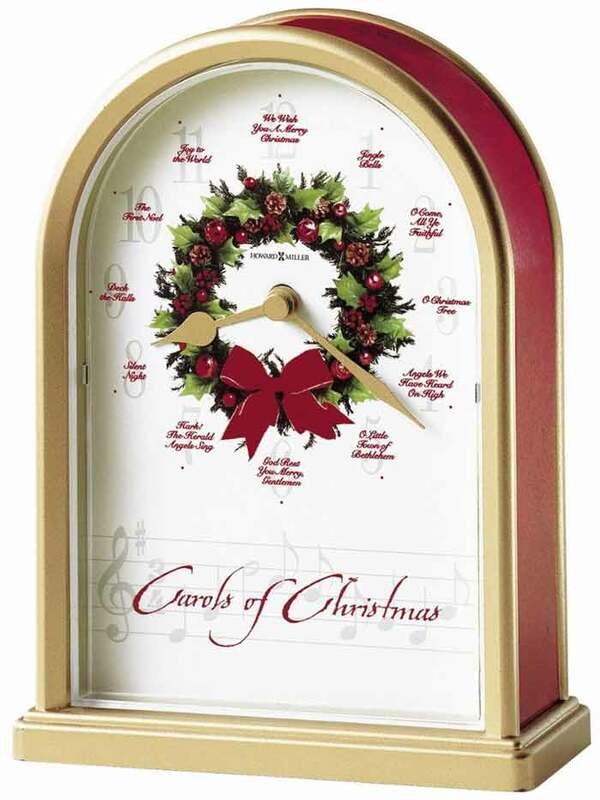 Howard Miller 645-424 Carols of Christmas II Clock. 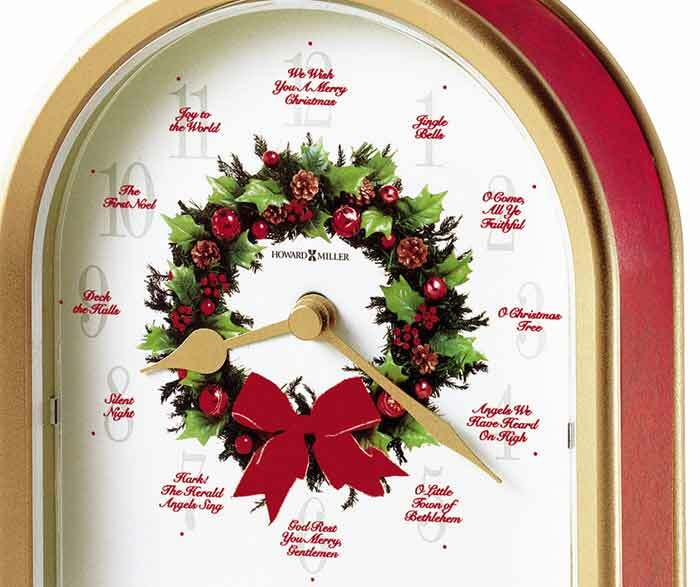 This satin brass finished Christmas clock features red marble-tone sides and a decorative wreath at the center of the dial. 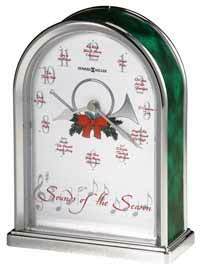 This original, signed artwork was commissioned by Howard Miller exclusively for the Sounds of the Season Collection. 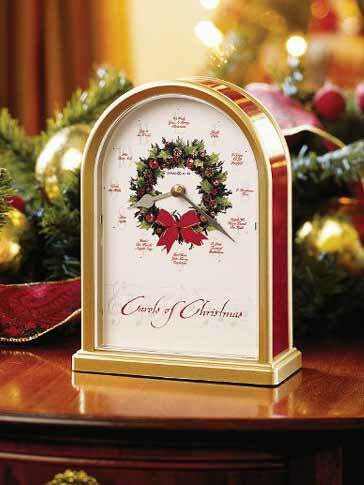 As the hour hand moves from hour to hour, you will hear these carols featured at the hour: The acrylic crystal protects the dial and the gold tone hour and minute hands. The melody will turn off automatically after 10:00 PM and start again after 7:00 AM. 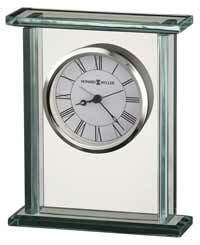 Quartz movement includes the battery. 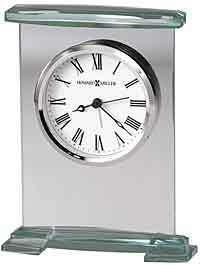 Clocks for sale at The Clock Depot including the 645-424 at discount prices.